Life is too short to settle for little functionality. 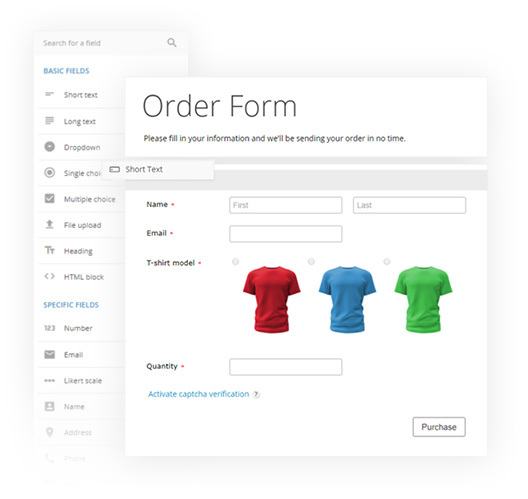 With features to meet any business needs, 123FormBuilder is actually much more than a very nice looking form builder. If Typeform doesn’t quite adapt to your workflows, consider using 123FormBuilder and get more out of your online forms! Why choose 123FormBuilder over Typeform? Typeform is simply beautiful. However, the interface might be a bit too complicated for basic users and its design concept has certain limitations. This means typeforms won’t integrate with every kind of workflow. The fact that only one question is displayed at a time makes it a good option for survey building rather than other types of forms. This being said, if you want a web form that focuses mainly on functionality, 123FormBuilder is the right tool for you. 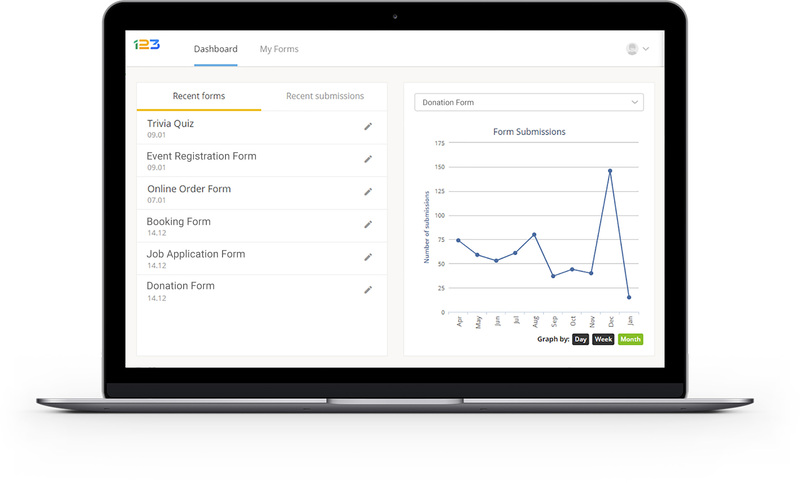 Plus, our forms are more versatile, as our interface serves a variety of purposes and industries. Adaptable to both B2C and B2B businesses, governmental agencies, HR departments, logistical and manufacturing companies, as well as banks or financial institutions. And if you have questions, just find us in the support chat box! Besides providing +50 free survey samples to choose from, our template gallery helps you build every type of web form starting from a pre-designed model. We are currently storing 1300+ templates, 500+ of which are available free. And it goes without saying that we’re constantly adding to the collection! We offer plenty of features for our free users. This is why a large number of NPOs and education professionals prefer 123FormBuilder over the competition. To enumerate just a few free features, with us you have more brand control, the ability to add hidden fields, digital signatures, captcha fields and thank you screens. Furthermore, many of our form themes come with a neutral look & feel that you can easily use with a larger variety of purposes, from real-estate to church events. And to conclude, all our users receive the same level of technical support. Since Typeform doesn’t have the option of a traditional one-page layout, it might not be the perfect choice for job applications, maintenance checklists, e-commerce, legal or governmental forms. We at 123FormBuilder value functionality over design. This is why it’s of the utmost importance for us to provide our users with the option to set up their forms even for corporate environments. Plus, with HTML and CSS editing options incorporated, our forms are much more adaptable. While Typeform integrations require you to be a Zapier user, we provide plenty of native integrations. Manage your form entries and day-to-day business data and tasks all in one place with the most popular online apps. While Typeform only allows Stripe-hosted payments, with us you can sell online and collect donations through any payment processor you prefer. Choose from: PayPal, Authorize.net, Braintree, WorldPay, PayFast, Sisow, Sage Pay, PayU, FreshBooks, Square or Stripe. Multiple payment processors on a form. Going paperless is now easier than ever with a special feature that lets you digitize any paper form. Even our free users can import scanned forms into our editor and edit them as they would any other web form. With AI technology integrated, the Scan to Form option also has handwriting and form recognition capabilities. Therefore it comes in handy when you’re not in the mood for creating a form from scratch.